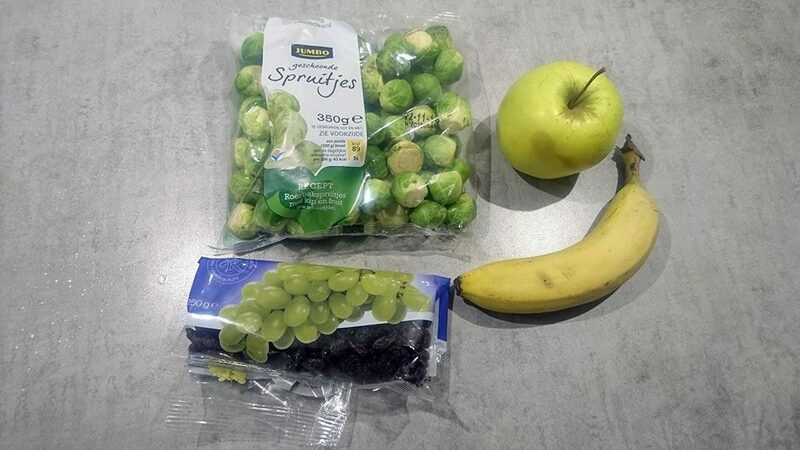 CLEAN the Brussels sprouts. SLICE the small banana into thin slices. PEEL the apple using a vegetable peeler and slice into smaller pieces. Add into the bowl. FILL a small pan with water and bring to a boil. COOK the cleaned Brussels sprouts in 10 minutes tender. 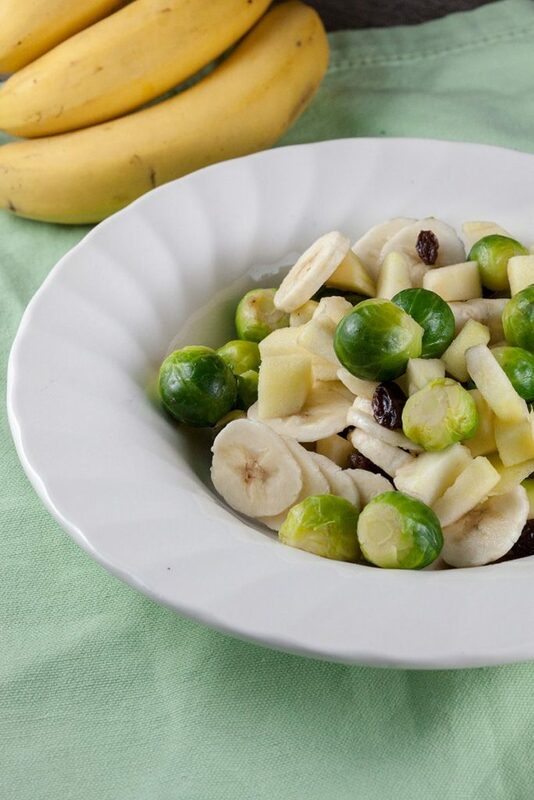 DRAIN the small pan with the Brussels sprouts, add the Brussels sprouts into the bowl. 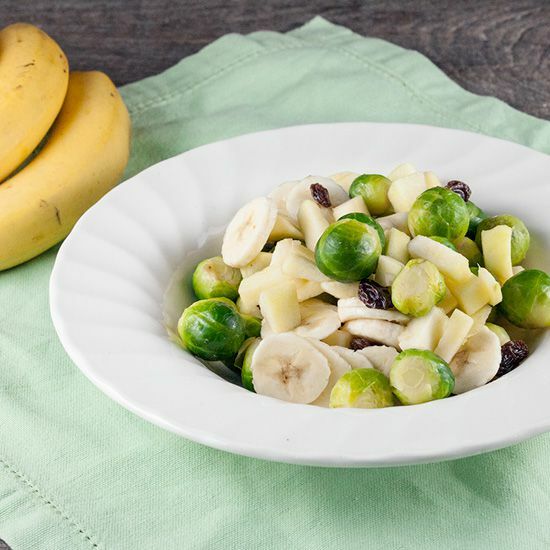 MIX a handful of raisins through the banana, apple and Brussels sprouts. Serve immediately. 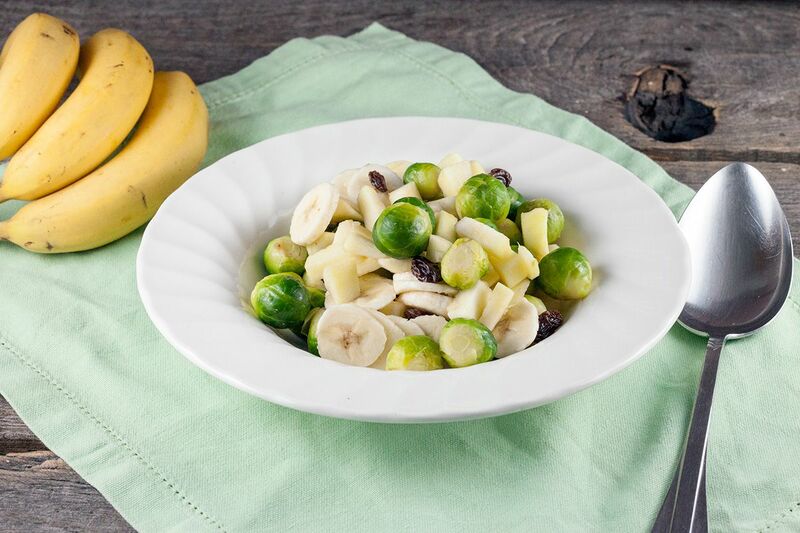 THE banana will make the Brussels sprouts less sour, while the apple makes the dish more fresh. Enjoy your meal!